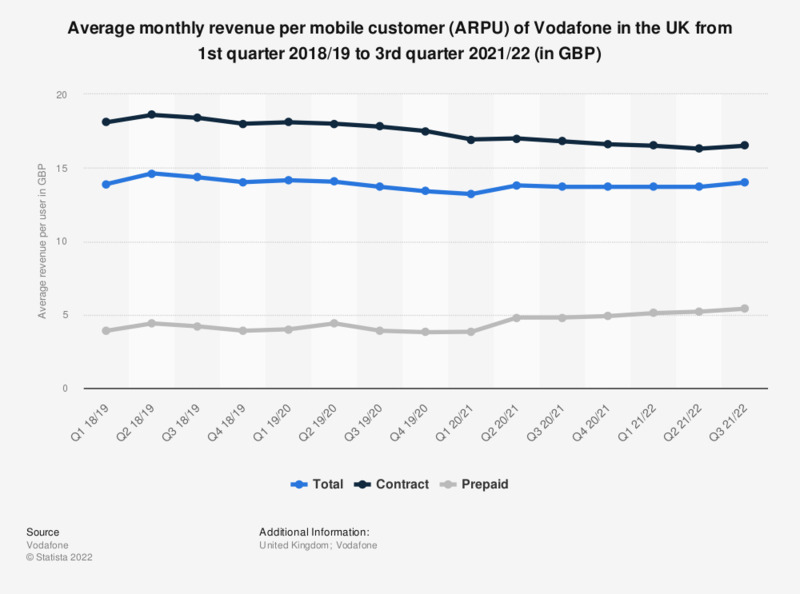 This statistic depicts the ARPU of Vodafone in the mobile communications segment in the UK from the first quarter of 2013/2014 to the first quarter of 2018/2019. By the end of 1st quarter 2018/19, the ARPU for Vodafone customers on contract was 22.7 British pounds per month. What were the two main reasons for your additional phone billing?